Conquer the Magic Academy's inhabitants! 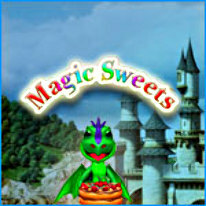 Conquer the Magic Academy’s inhabitants using yummy meals spiced with superb spells in this fun Time Management game! Join Dino, the tiny baby dragon, and his mistress as they prepare delicious pastries and splendid cocktails for their clientele. Meet some interesting characters along the way as you experience this unforgettable adventure!